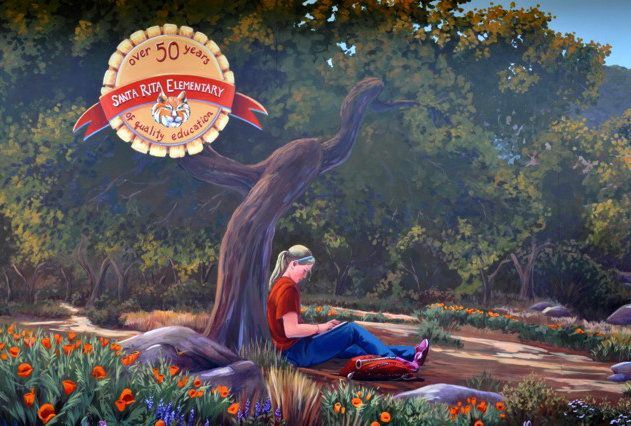 Santa Rita, the school my children attend, has been around for over 50 years. 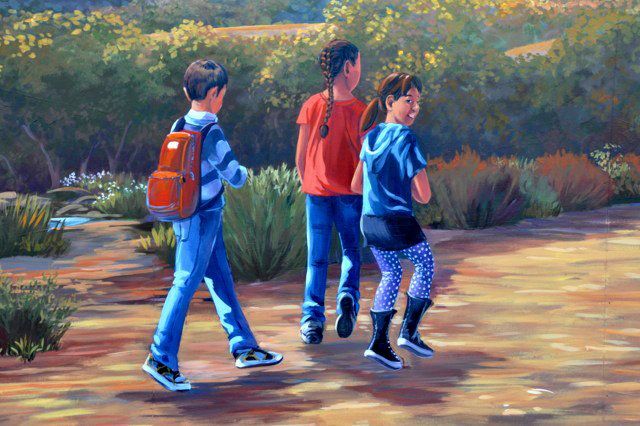 Many people choose our corner of Los Altos to call home because it is “old school”: friendly and safe, with a small neighborhood school, and lacking in those new-fangled technologies like sidewalks and streetlamps. 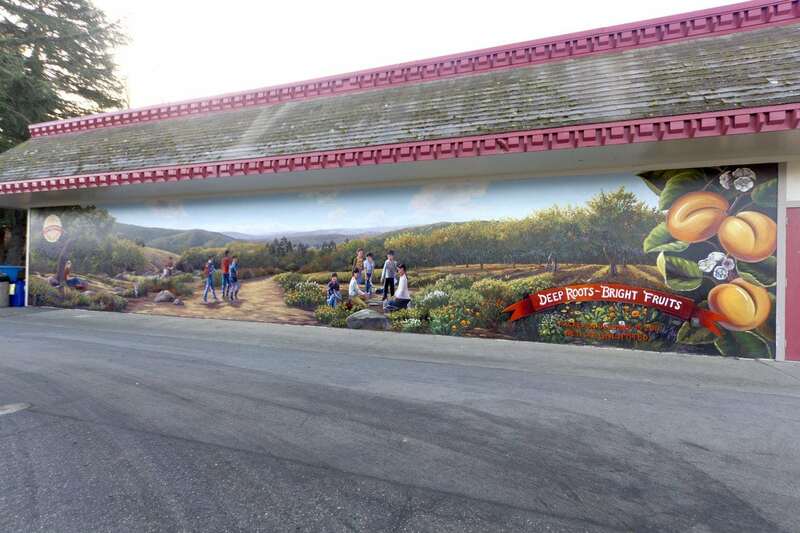 The undeveloped lots with decrepit fruit trees are fast disappearing, with taller houses that are impinging on the gorgeous Santa Cruz mountains that anchor the town from the west. 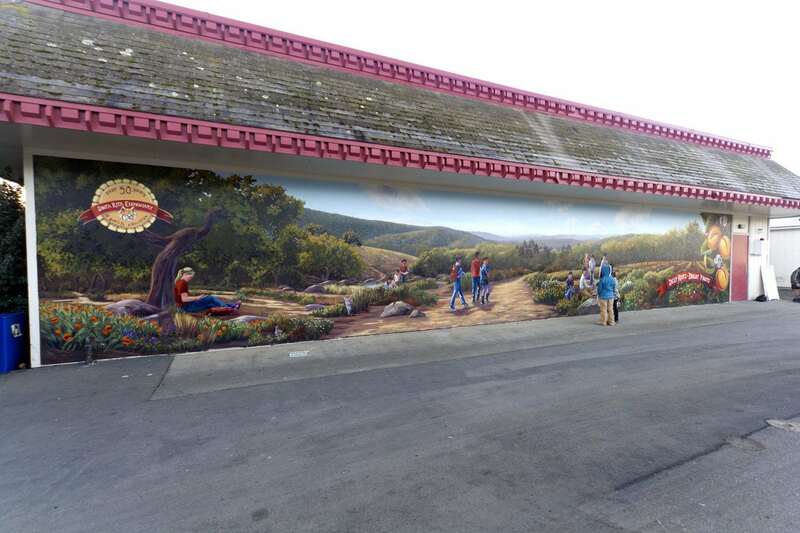 In the backdrop of this mural I wanted to capture what the area would have been like when it was mostly covered in orchards. 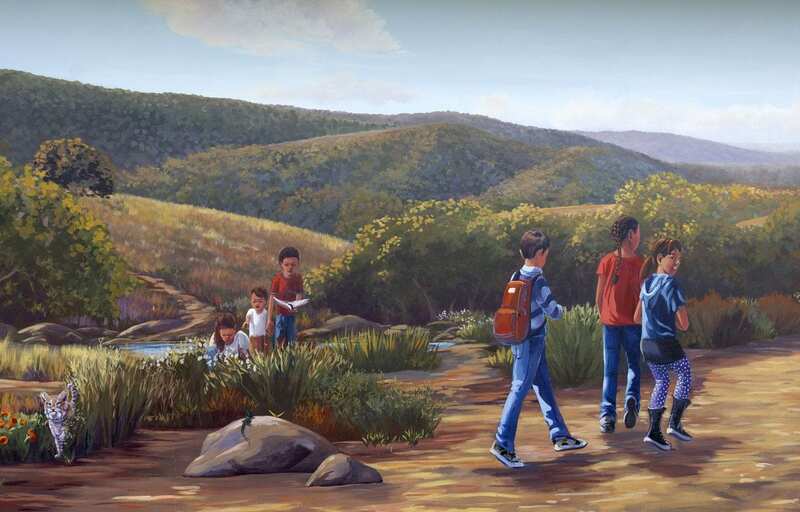 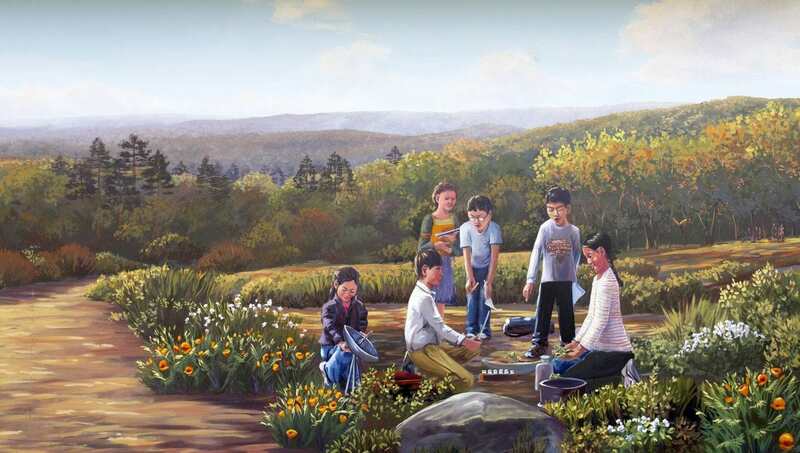 The foreground vignettes represent what defines the school today: a multicultural community with an emphasis on innovation in education. 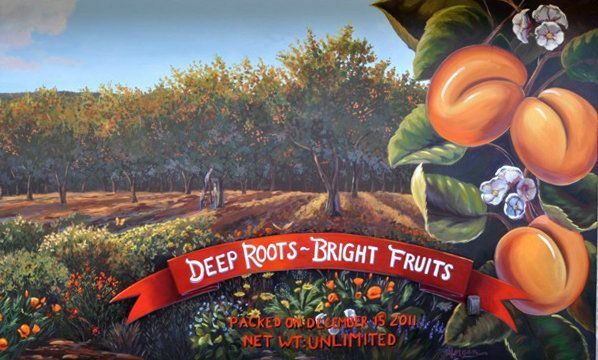 For more information about this mural project, read my blog post Deep Roots, Bright Fruits.